Today I'm featuring And Every Morning the Way Home Gets Longer and Longer by Fredrik Backman. The excerpts shared are from the hardcover version I received from the publisher, Simon and Schuster. Page 56 (actually, page 55 because there is no text on page 56): "She laughs. Old eyes, new sunlight, and he still remembers how it felt to fall in love." 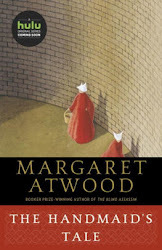 My thoughts: Today I'm sharing my next read. My first introduction to the author was through A Man Called Ove, which I read with two of my book clubs. In fact, one club like Ove so much that we are now reading another of Backman's books, My Grandmother Asked Me to Tell You She's Sorry. Backman has quickly become one of my favorite authors for his wit, insight, strong interpersonal relationships, and unusual characters who find their way into your heart and mind. His books are a good fit for book clubs and individual readers alike. 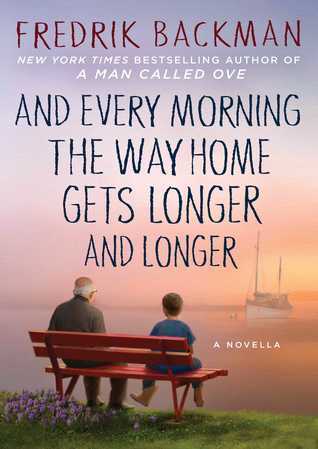 From Goodreads: From the New York Times bestselling author of A Man Called Ove, My Grandmother Asked Me To Tell You She’s Sorry, and Britt-Marie Was Here comes an exquisitely moving portrait of an elderly man’s struggle to hold on to his most precious memories, and his family’s efforts to care for him even as they must find a way to let go.